610 Watt Full Spectrum LED Grow Light made in the USA, designed specifically for use as supplemental greenhouse lighting. Replaces 1000W Double-Ended Bulbs. The SK602GH LED Grow Light supplemental coverage area in flower is 8×8 ft. and 10×10 ft. in veg. Safety Certified and IP65 Rated. 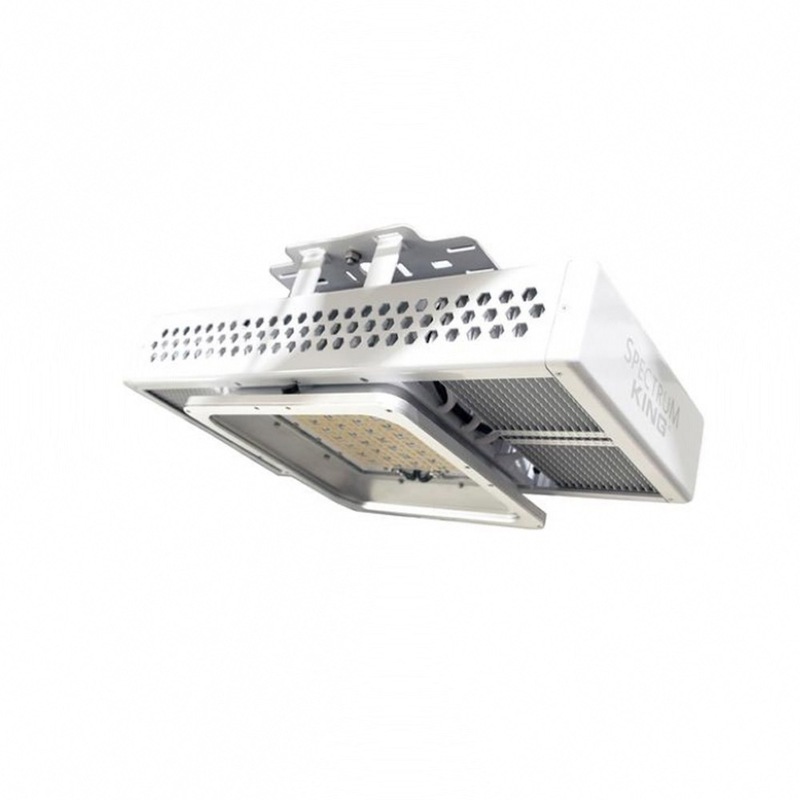 With a rugged waterproof housing designed specially, The SK602GH LED Grow Light fit for use in wet and humid conditions. Produces less heat than most competitors. Same light intensity as a 1000 Watt double ended HPS bulb! Comes with Dual Warranty: Spectrum King SK602GH LED Grow Light is guaranteed to maintain 90% or better light output for 3 YEARS with regular use plus a 5 YEAR Mechanical warranty on all parts and labor. 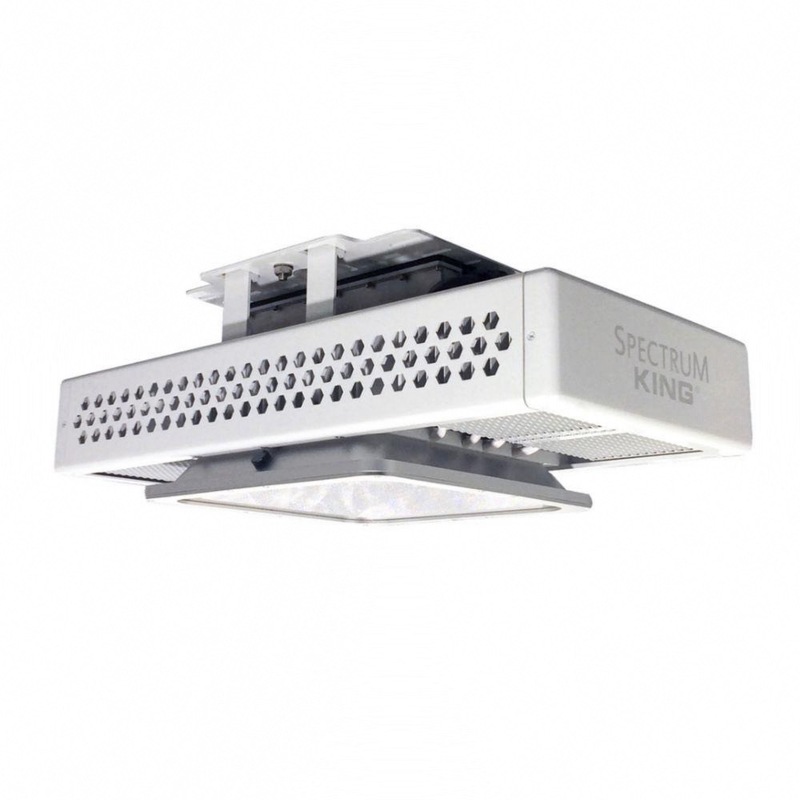 Spectrum King is the only company to guarantee light performance over lifetime with 3rd party certified data. Full-spectrum 610 Watt LED light made in the USA. Extra efficient reflective heatsinks lower overall ambient room temperature. Cool up to 8 Sk602GH’s with just 1 ton of AC!